Law Offices of Jonathan F. Marshall is a team of eight criminal lawyers, several of whom are former prosecutors, that have been defending criminal charges in Toms River and elsewhere in Ocean County for over a century combined. We realize how important it is to keep your record clean from a criminal conviction so that your future is not comprised. If you were charged with a second degree, third degree, fourth degree or even a disorderly persons offense for an assault related offense, we will utilize all of our knowledge and skill to insure that you achieve the best possible result in your case. Contact our Toms River Office to speak to a lawyer on our staff anytime 24/7. A free consultation is available immediately by calling (732) 286-6500. Assault and threat charges make up one of the largest categories of criminal offense filed in Ocean County. A wide range of violations fall within this block including many varieties of both municipal court and Ocean County Superior Court assault charges in Toms River. The most common charges of this nature are simple assault, aggravated assault, harassment, terroristic threats and disorderly conduct. Whether one of these or another violation is a misdemeanor or felony hinges on the grade of the offense. For example, an aggravated assault may be a fourth degree crime if the incident arises out of a certain facts and a second degree crime if others are involved. Similar variation exists with respect to a charge like harassment which, while typically heard in municipal court as a disorderly persons offense, may also result in an indictable criminal charge. In order for you to assess the seriousness of the charge you are facing, you must pinpoint the grade of offense set forth in the complaint or indictment. The following chart outlines the penalties for an assault or threat offense by grade. When the circumstances of this type of offense are deemed violate in nature under New Jersey Law, the No Early Release Act ("NERA") may be triggered. NERA requires that an individual serve a mandatory minimum term of incarceration during which he/she is ineligible for release. More specifically, a defendant must serve at least 85% of his/her sentence before parole may be granted when NERA applies. Lakewood NJ Assault Attorney As the chart illustrates, a conviction for an assault related offense can have serious ramifications. Exposure to state prison is a possibility in many cases, especially when conduct results in significant mental or physical injuries. Representation by a seasoned criminal lawyer can unquestionably go a long way in averting negative consequences. 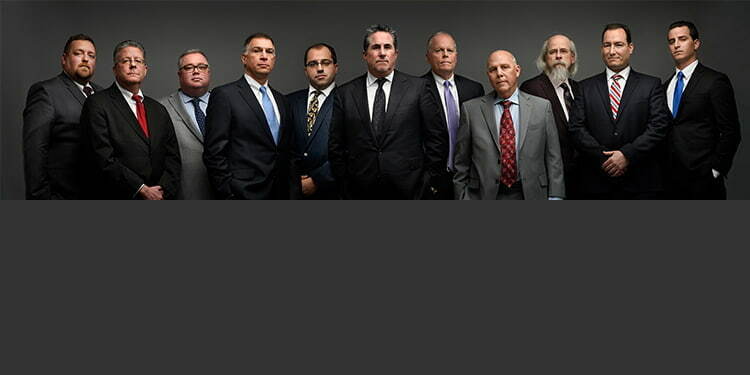 The assault lawyers at Law Offices of Jonathan F. Marshall have over 100 years of success in defending these cases. We have handled literally thousands of cases and are adapt in securing favorable outcomes. Call us at (732) 286-6500 any time 24/7 for a free consultation with one of our knowledgeable criminal attorneys.